Our rentals include lens, viewfinder, tripod, tripod plate and power at one low price. Our low cost Flypack HD camera is no slouch. These are the real workhorses of our video equipment rental fleet. With the new 1/3″ 3-MOS imagers, 2.2-megapixel 3-chip imager, the HPX370 delivers exceptional HD video production. 10-bit, 4:2:2, full 1920 x 1080-resolution AVC-Intra recording with real impressive levels of sensitivity. We rent these with a great lens too. The native AVC-Intra codec is unrivaled for its full-raster, 10-bit, 4:2:2 sampling. The low light performance of our HPX 370 Camera rentals, exhibit the high sensitivity and great image of the big brother 3100’s at a lower cost. And now the sensitivity that is characteristic of the interlace mode is possible in the progressive mode with Panasonic’s Progressive Advanced Processing (P.A.P. ), a 3D adaptive processing technology. We shoot with these cameras and our Mini Flypacks in our Studio and on location, and have never been less than totally satisfied with the images. Adjust this dial for an instant set of shooting conditions. Six preset files are provided, and you can change any of the six file names and their settings as desired. You can also store and load the settings to and from an SD card. We have these available with your rental. This way all three cameras are setup and matched perfectly in minutes. 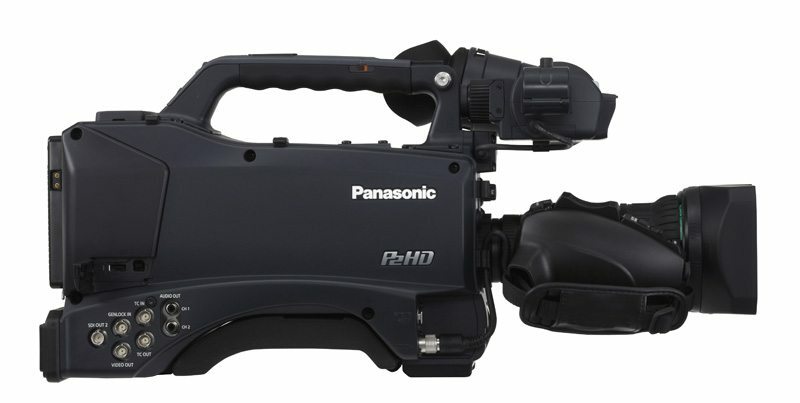 The HPX370 HD Camera rentals offer AVC-Intra codec recording. It allows recording in either of two modes: AVC-Intra 100 for full-pixel HD (1920 x 1080 and 1280 x 720) images, or AVC-Intra 50 for low-bit-rate, low-cost operation. AVC-Intra is a great new codec that we have fully embraced here at ICV. If you do any encoding for the web you’ll apprecaite this codec. It complies with the MPEG-4 AVC/H.264 international standard based on advanced image compression technology, and offers both superb image quality and highly efficient compression. The HPX370 also supports the conventional DVCPRO HD codec. The HPX370 can be used with 1/3″ to 2/3″ lens adapters for use with existing 2/3″ zoom and prime lenses. 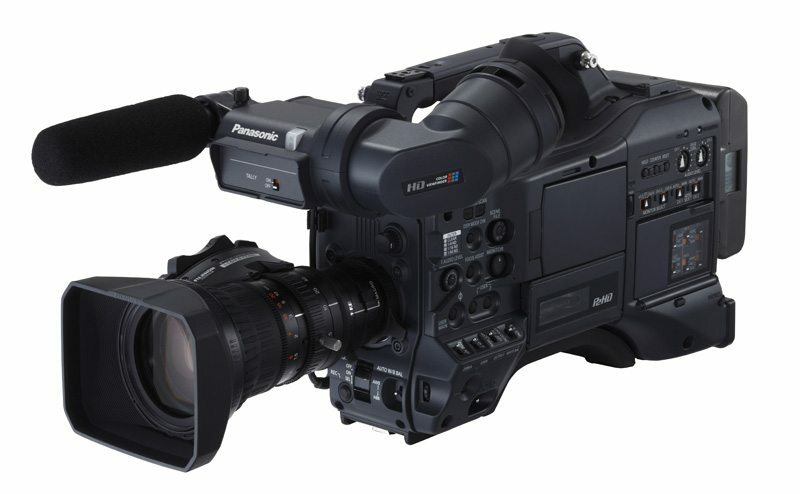 The camera offers a broad range of creative features including variable frame rates, Cine film-like gamma, Chromatic Aberration Compensation (CAC), built-in scan reverse, Dynamic Range Stretch (DRS) function, waveform and vector scope display and focus assist tools. The HPX370 also comes equipped with flash band detection and compensation software built-in for improved CMOS performance. • 1/250 sec., 1/500 sec., 1/1000 sec., 1/2000 sec. • 1/120 sec., 1/250 sec., 1/500 sec., 1/1000 sec., 1/2000 sec. • 50i mode: 1/50.0 sec. to 1/250.0 sec. • 25p mode: 1/25.0 sec. to 1/250.0 sec. • 60i mode: 1/60.0 sec. to 1/249.8 sec. • 30p mode: 1/30.0 sec. to 1/249.8 sec. • 24p mode: 1/24.0 sec. to 1/249.8 sec. • 25p mode: 1/6.25 sec., 1/12.5 sec. • 60i/60p mode: 1/15 sec., 1/30 sec. • 30p mode: 1/7.5 sec., 1/15 sec. • 24p mode: 1/6 sec., 1/12 sec.